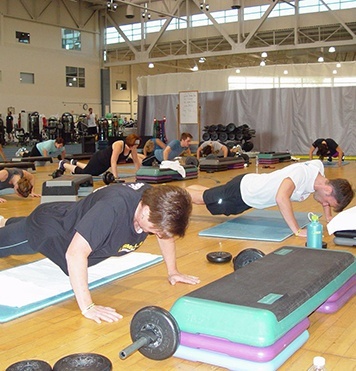 60+ Group Fitness Classes weekly including Les Mills BODYPUMP™, Boot Camp, TRX, Cycle, Circuit Training, Yoga, Barre and much more! You'll love discovering new workouts each week! 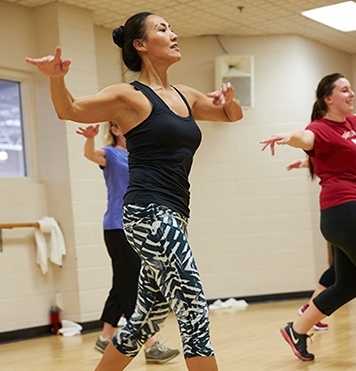 From Les Mills classes like BODYPUMP™, CXWorx™ and RPM™ to Boot Camp and Yoga, NIFS offers the most exciting group classes for all fitness levels and interests. 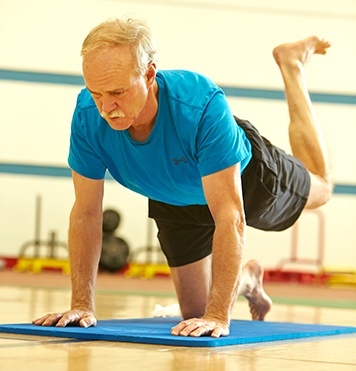 Class of the month for April 2019 is TRX®! Guests may purchase a group fitness punch pass; $60-5 classes or $100-10 classes. Purchase at NIFS service desk. Day passes are also available, click here for more information. 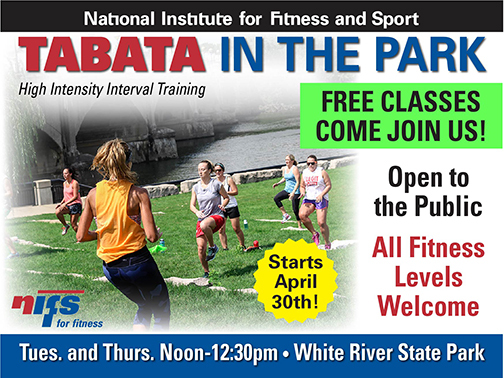 Tabata in the Park is Back! 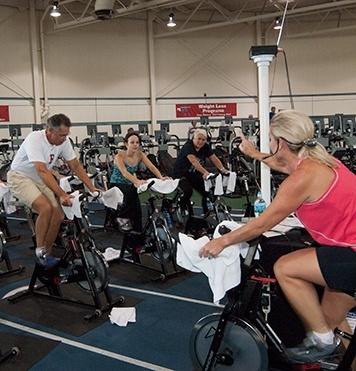 Want to get in shape for the summer in a fun and challenging way? Love to workout in the sunshine and fresh air? 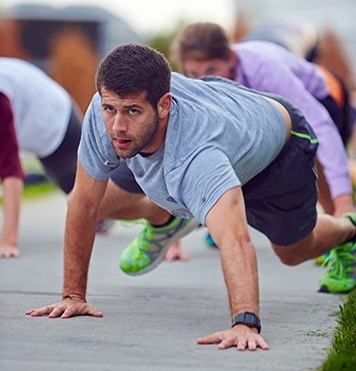 Join us for Tabata in the Park! Open to the public, all levels welcome and its FREE!. Tuesdays and Thursdays from Noon to 12:30pm in White River State Park behind the NCAA building (weather permitting). Look for the signs and listen for the music! Tabata Training is a High Intensity Interval Training (H.I.I.T ) workout that has four minute rounds. Exercises range from Strength, Cardio, and Plyometric moves. Get geared up for an awesome workout! 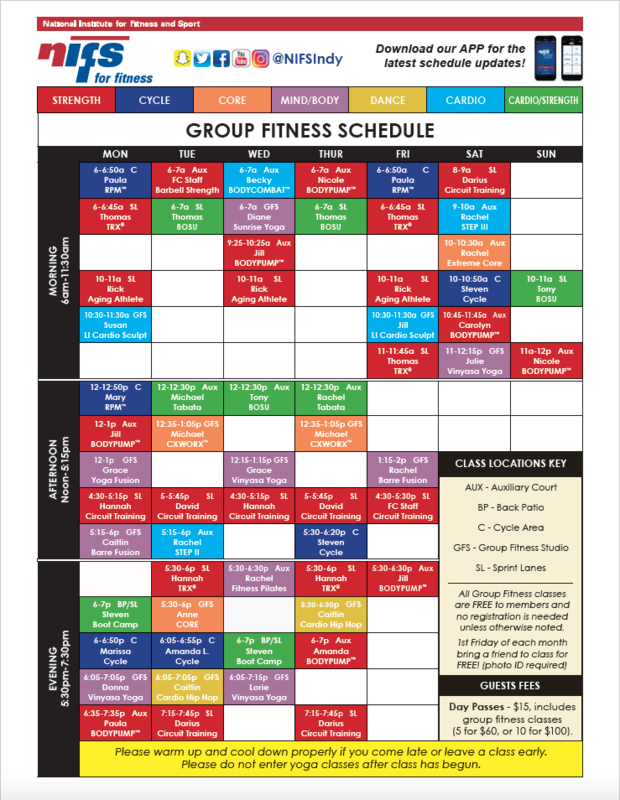 Want the most up-to-date group fitness schedule on the go? Download the NIFS mobile app!